Rafic Baha El Deen Al-Hariri (November 1, 1944 – February 14, 2005, was a business tycoon and the Prime Minister of Lebanon from 1992 to 1998 and again from 2000 until his resignation, 20 October 2004. He headed five cabinets during his tenure and dominated the country’s post-war political and business life and is widely credited with reconstructing Beirut after the 15-year civil war. Hariri was born into a Sunni Muslim family, along with two siblings (brother, Shafic and sister Bahia) in the Lebanese port city of Sidon. Hariri attended elementary and secondary school in his city and pursued his business administration studies at the Beirut Arab University. Hariri was killed on February 14th, 2005 together with 21 others when explosives equivalent to around 1000 kg of TNT were detonated as his car drove past the St. George Hotel in the Lebanese capital, Beirut. Among the dead were several of Hariri’s bodyguards and his friend and former Minister of the Economy Bassel Fleihan. The investigation, by the Special Tribunal for Lebanon, into his assassination is still ongoing and currently led by the independent investigator Daniel Bellemare. In its first two reports, UNIIIC indicated that the Syrian government may be linked to the assassination. According to a Canadian Broadcasting Corporation news investigation, the special UN investigation team had found strong evidence for the responsibility of the Hezbollah in the assassination. Hariri’s murder led to massive political change in Lebanon, including the Cedar Revolution and the withdrawal of Syrian troops from Lebanon. 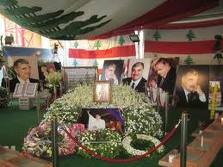 Hariri was buried along with his bodyguards who died with him in their final resting place near Mohammad Al-Amin Mosque. The latest reports written by Brammertz has indicated that DNA evidence collected from the crime scene, suggests that the assassination might have been the act of a young male acting as a suicide bomber. Syria was initially accused of the assassination, which led to the withdrawal of Syrian troops from Lebanon following widespread protests. 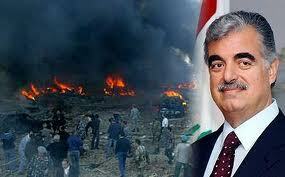 Following Hariri’s death, there were several other bombings and assassinations against minor anti-Syrian figures. These included Samir Kassir, George Hawi, Gebran Tueni, Pierre Amine Gemayel, and Walid Eido. Assassination attempts were made on Elias Murr, May Chidiac, and Samir Shehade (who was investigating Hariri’s death). The United Nations special tribunal (see Special Tribunal for Lebanon) investigating the murder of Hariri is expected to issue draft indictments accusing Hezbollah of murdering Hariri. Hezbollah has accused Israel of the murder of Hariri and according to the Hezbollah officials; the assassination was planned by Mossad with the reason of putting the blame on Syria so that the Syrian army should be expelled from Lebanon soil. In August 2010, Hezbollah leader Hassan Nasrallah presented “evidence”, comprising of intercepted Israeli spy-drone video footage, which he said implicated Israel in the assassination of Hariri. After an altercation between male Tribunal staff and women at a gynaecology clinic in October 2010, Hezbollah demanded that the Lebanese government stop all cooperation with the Special Tribunal, claiming the tribunal to be an infringement on Lebanese sovereignty by western governments. On October 2010, Hezbollah conducted a drill simulating a takeover of Lebanon – an operation which it threatened was to be carried out in the event that the international tribunal for the assassination Hariri indicts Hezbollah. In late 1980’s, a British sergeant went to Afghanistan to conduct emergency relief in a country that lay in ruins after years of Soviet occupation. His plan was to work on agricultural projects, but when he arrived he discovered something terrible. Across the country, the soil was full of hundreds of thousands of antipersonnel mines, which had intended to kill or maim anyone who would plow the soil. The former officer ended up starting the first program in the world to clear landmines. Other organizations had worked for several years to raise enough artificial limbs to victims of land mines, but they felt that they should do more. Appalled by the results of what mines did to individuals and the community, the organizations began to form a joint organization to achieve a global ban. The formal launch happened in New York, in October 1992 and was named The International Campaign to Ban Landmines (ICBL). Their aim was to get an international ban on the use, production, storage and transfer of antipersonnel mines and increase resources for humanitarian response to the removal of landmines and assistance to victims. 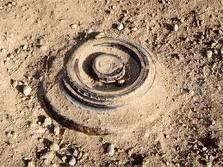 Landmines are not only dangerous to enemies, but it’s very destructive towards civilians and the agricultural system, because when peace comes, the mines won’t recognize it. Many people get killed, and the survivors are left back with so much damage that they cannot function normally. In addition the mines make it impossible to cultivate the soil so that the country is deprived of food supply of food that is needed to survive. What more does it take to get a total ban? Land mines were designed for two main uses — to create tactical barriers, to act as area-denial weapons. The latter use seeks to deny access to land areas by military and civilian traffic. When used as a tactical barrier, they serve to deter direct attack from or over a defined and marked area. This is the stated reason for their use in the demilitarized zones of warm spots such as Cyprus and Korea. The most important countries producing and stockpiling landmines that have not signed are China, India, the United States and Russia. 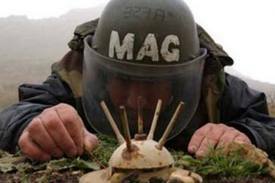 The United States refuses to sign the treaty because it does not offer a “Korean exception”, as landmines are said to be a crucial component of the U.S. military strategy in South Korea. According to the US government, the one million mines along the DMZ between North and South help maintain the delicate peace by deterring a North Korean attack. The Ottawa Treaty or the Mine Ban Treaty, formally the Convention on the Prohibition of the Use, Stockpiling, Production and Transfer of Anti-Personnel Mines and on their Destruction, bans completely all anti-personnel landmines (AP-mines). As of May 2009, there were 156 States Parties to the treaty. Two states have signed but not yet ratified it. Thirty-seven states, including China, India, Russia and the United States, are not party to the Convention.